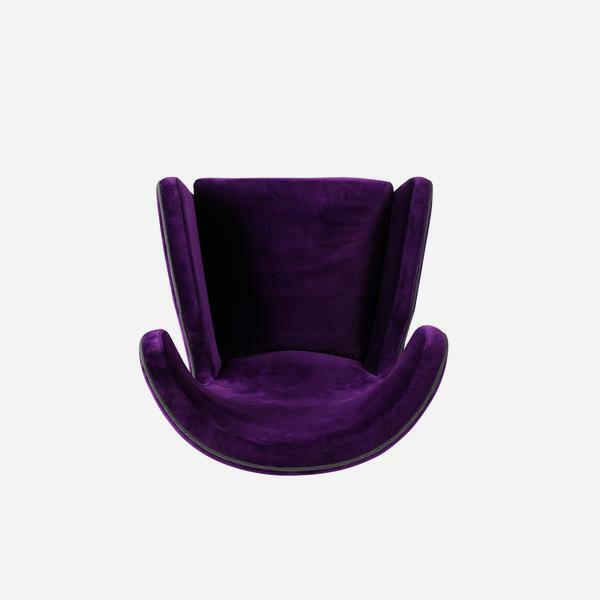 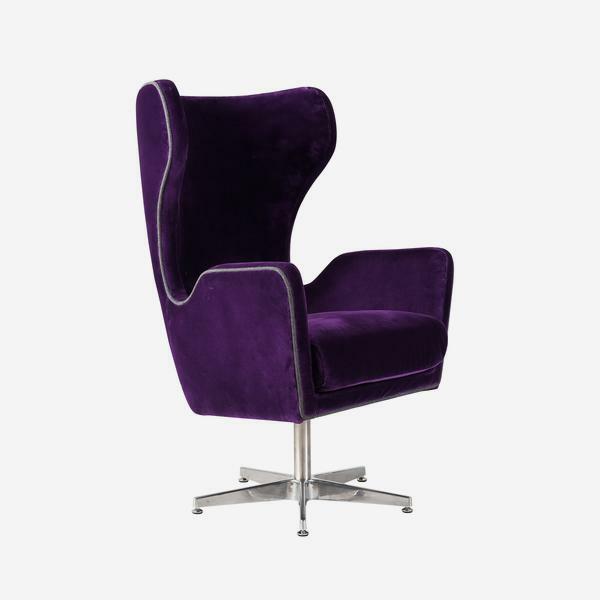 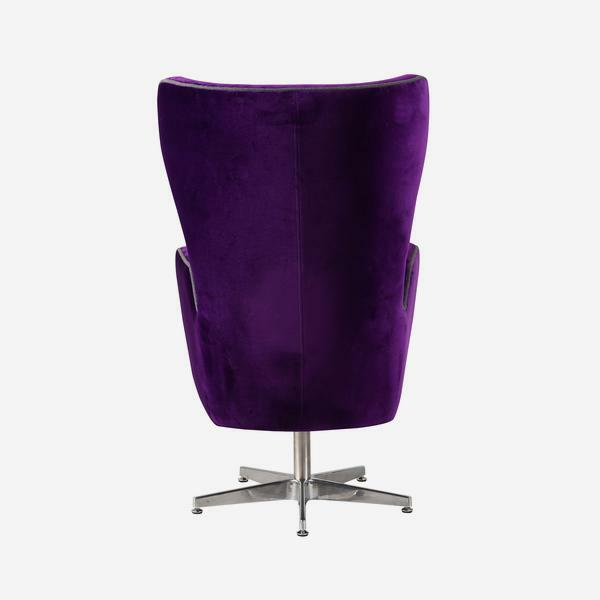 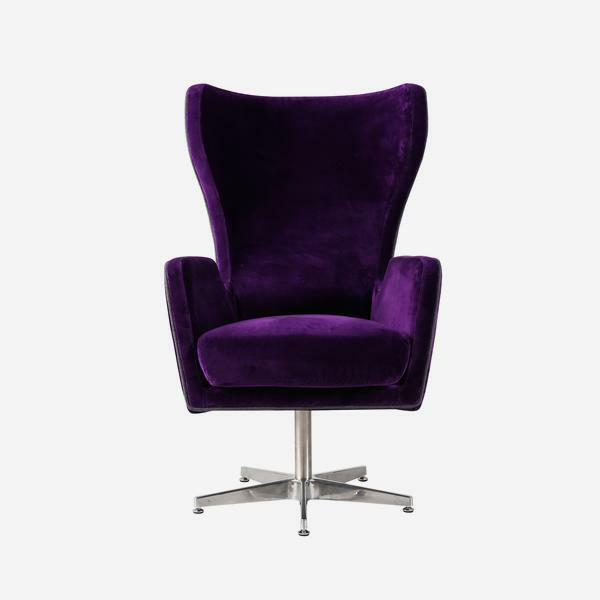 A deep purple velvet chair with the most retro silhouette. 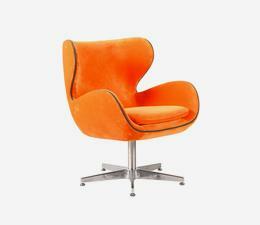 With a chrome swivel base, high back and arms, flare-like wings and grey flannel piping, Wham Bam adds 70s funk to a room. 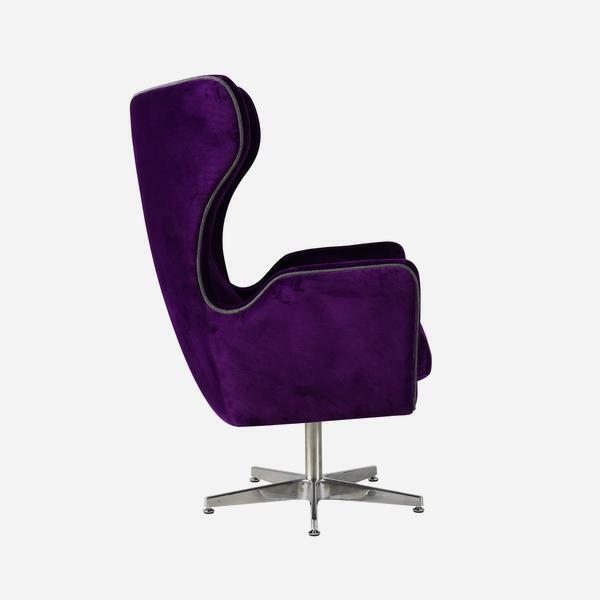 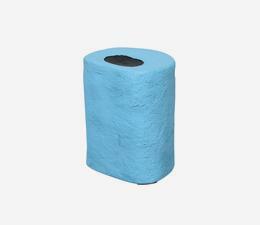 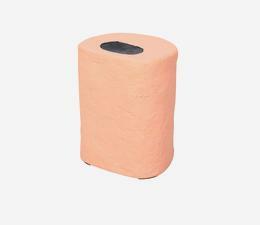 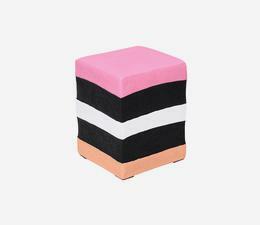 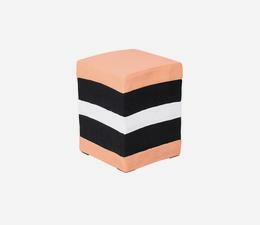 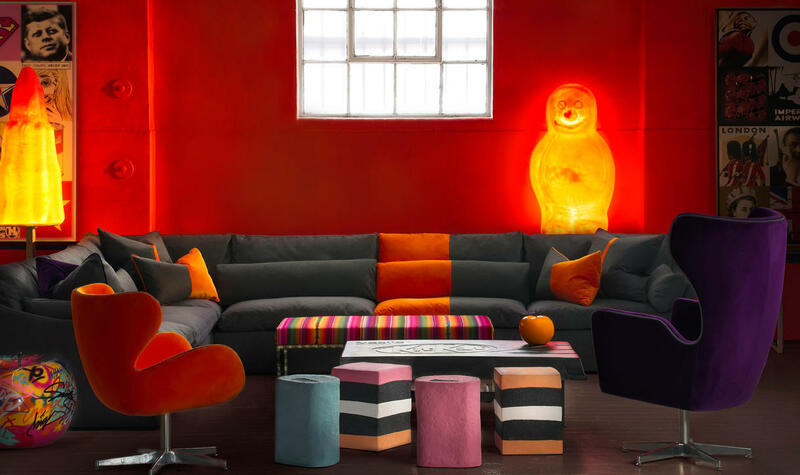 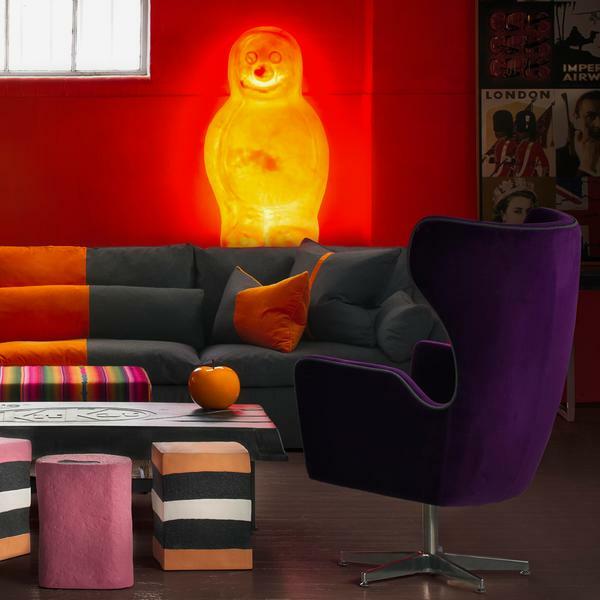 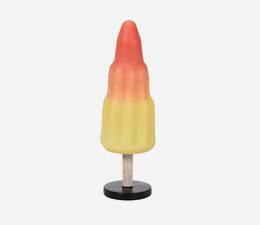 Place in your bedroom, kitchen or living room with a coordinating Meteor or Double Dip cushion and feel like you're on the set of Austin Powers.